Remember THIS dress I made for Melbourne Frocktails last year? Well I've got TWO METRES left of this STUNNING stretch fabric. Head over to my instagram give-away post (see below) and leave a comment. OPEN TO all my instagram followers around the WORLD. I will be randomly selecting one person from the comments on Monday, January 21. It thrills me to think that someone else can use this fabric to create something that brings them joy, just like it did me. Sometimes when you like a pattern, you just got to back up that make with another three (or four). Cause when I like something, I like it HARD. It's the Rita Blouse by Charm Patterns. It's a vintage inspired, princess seamed top with an elasticised neckline, gathered bust, and two sleeve variations. The sizes range from 2 - 16, with different pattern pieces for cup sizes B-DD. I cut the size 6 with a D cup. 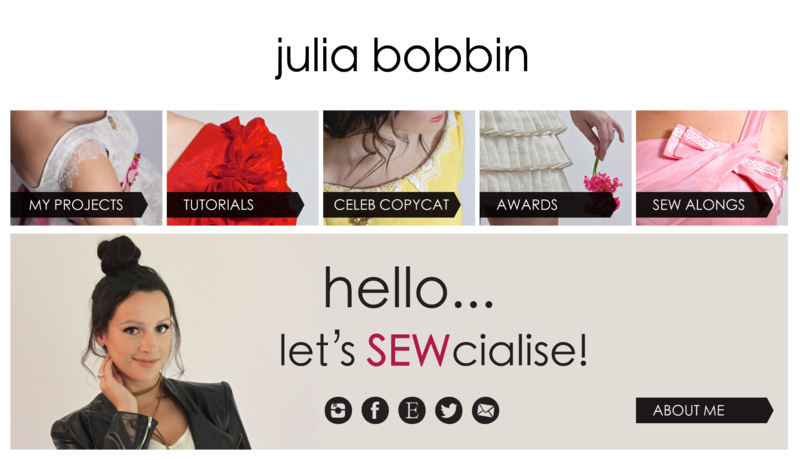 The skirt is a self-drafted faux wrap, with a flounce on the hem, a waistband, and an invisible zip closure down the centre back. I used a cotton seersucker from Spotlight for the blouse. It has a slightly heavier weight than a cotton lawn or voile and the texture of this lovely fabric elevates the look of the blouse when using a solid colour. The skirt is made with a heavy-weight linen from The Fabric Store in Vintage Blush, White, Paprika and blue (but not the duck-egg blue). I love that the sleeves can be worn up or off the shoulders, depending on the look (or mood) you're going for. There are also two different versions of sleeves, the flutter cap or the elasticised version that I went for. The bodice has princess seams which ensures a close and flattering fit. Princess seams are also great for making fit adjustments after you've sewn the seam. It's pretty clear that I love these linen skirts. They are so crazy comfortable and keep you cool in summer. They're easy to wash, keep their shape well and just get better with age. The Rita blouse is versatile with low-key glamour and easy to mix with other wardrobe staples. These two patterns pair so nicely together and are the perfect go-to for a quick sewing project that you know you can finish in one session. WIN! One day I'll stop making transparent clothing, but it is not. this. day. Just keeping it casual in this low-key look; my me-made silk organza blouse and me-made leather skirt. SO BASIC. It's the Darted Sport Blouse by BurdaStyle, pattern #105B from their 04/2018 issue. I cut a size 40 and it gave me just the right amount of ease to be fitted but not tight. I find the BurdaStyle patterns run a bit on the smaller side, but the cut of their patterns always seems to work so well for me. I made this blouse in a beautiful crisp black, silk organza from The Cloth Shop in Ivanhoe. Silk organza is such a unique fabric with it's transparency and stiff texture. It is such a great fabric to play with volume. I used a solid black cotton sateen from Spotlight for the button band, collar and cuffs, which added a nice contrast to the organza. Full statement sleeves are all the rage at the moment and I'm a sucker for a fashion fad. The sleeves already had a bit of volume in the pattern, but I altered it to give even more volume. Because sometimes more is just MORE, OK? 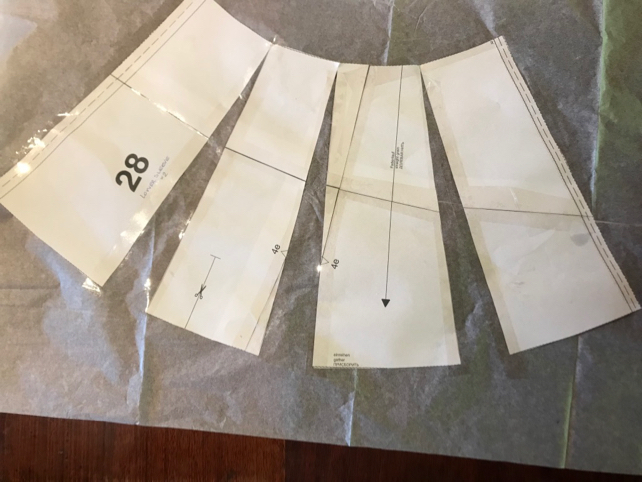 FULLER SLEEVES - I drew three vertical lines through the pattern and cut from the bottom to the top, leaving a slight hinge in the paper at the top of the pattern. This ensured that the width of the pattern top remained the same. I then spread out the pattern evenly and stuck it down to some paper. The bottom edge is gathered to fit the sleeve cuffs, so you can go as big as you want! I FLAT FELLED my seams which kept the seams flat, and hid raw edges. Overlocked seams would be more visible in this transparent shirt and I love how neat it made the shirt look on the inside. The only exception was the armhole and sleeves seam, which I serged. I decided to use a COTTON SATEEN FABRIC in a solid black for the collar, cuffs and centre-front closures in cotton sateen. I love how it contrasts with transparent organza, and gives it a bit of an edge. I Finished the centre front with SNAP BUTTONS for a sleek look to the button band. The shirt already has so much detail and the hidden closures adds to the dressiness of the look. I Used buttons and BUTTON HOLES on the cuffs (two each side) and for the collar. These areas receive the most tension so the buttons are appropriate, and it gives the shirt a little extra detail. I didn't line the BACK YOKE. The extra layer would have made that section darker, which I don't mind, but I didn't want to make the shirt too busy with the cotton sateen details already adding contrast. I love the fullness of the lower half of the SLEEVES and how it contrasts with the slim upper sleeve. The ANGLED DARTS on the bodice front are such a different and interesting way to add shape and design to this shirt. I love the CURVED HEM, which seems to be the perfect length on my frame. The DOUBLE BUTTONS on the sleeve cuffs, adds that subtle bit of extra detail and is also very practical. 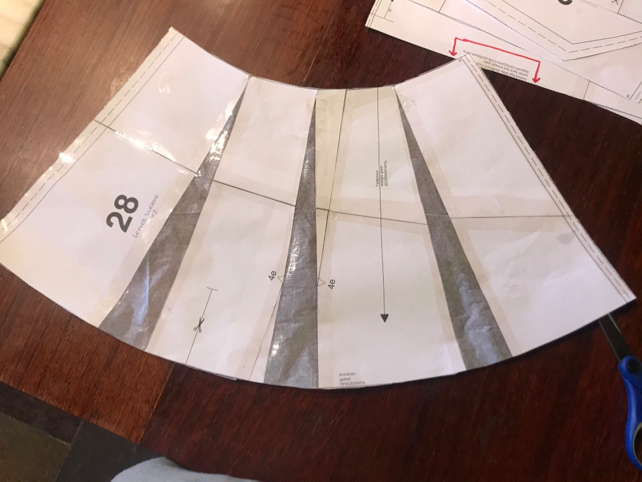 This sewing pattern is excellent and well drafted, but if you're looking for clear instructions on how to make it, you won't find it with this pattern. This pattern is such a lovely design, and could be easily adapted for a slimmer sleeve if big bouncy forearms aren't your thing. I love it in the silk organza, which would pair well with a camisole for a less conspicuous look. They say the Melbourne uniform is 'all-black', and so this usually colourful girl is feeling suitably city proud in this get up. With Christmas just around the corner I wanted to thank all my lovely readers for all your support and encouragement this year, and to wish you and yours a very merry and very safe festive season! !